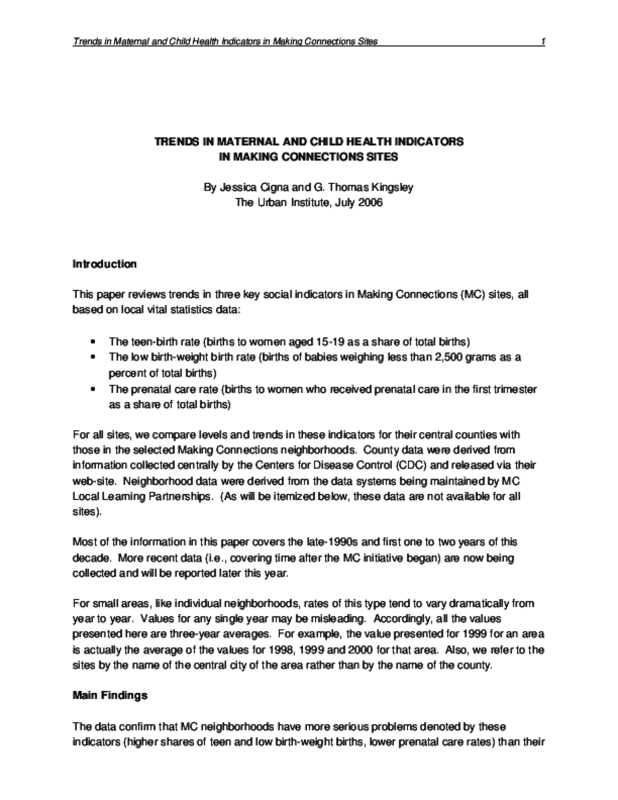 Reviews the rates of teen births, low birth-weight babies, and first-trimester prenatal care received, as a share of total births, in Casey's Making Connections initiative neighborhoods. Compares the neighborhood data to overall trends in the county. Copyright 2006 Annie E. Casey Foundation.